Making simple changes to the way you save for retirement in 2019 could help set you up for a lifetime of financial security. Whether you’ve just started your pension planning or are looking to retire soon, we reveal 20 ways to boost your pension savings in the new year. Check your state pension entitlement to help determine if and how much you’re likely to receive when you reach state pension age – and whether you’ll need to top it up. You can get your State Pension forecast on GOV.UK. And remember, the state pension age for women has been steadily rising to age 65, so that it is the same level as a man. The state pension age is now 65 for both men and women and will increase again to 66 by October 2020. *This date has been announced but not yet legislated for. It was originally timetabled for 2044-2046 and could be subject to change again. The new state pension was introduced on 6 April 2016, for people reaching state pension age from that date onwards. You need 35 qualifying years’ worth of National Insurance contributions to get the full amount of new state Pension when you reach state pension age and normally need at least 10 qualifying years to get any new state pension at all. You pay National Insurance out of your salary, if you earn over certain amounts. National Insurance credits allow you to fill in gaps on your National Insurance record when you’re not working and unable to make National Insurance contributions – for example, if you’re unemployed, caring for children, ill or disabled, taking an approved training course or doing jury service. The credits go towards building qualifying years for your state pension and could help boost your final entitlement. Some credits are added to your record automatically but you’ll have to apply for others, so it’s worth checking to see if you’re eligible on GOV.UK. If there was a time when you did not pay enough National Insurance contributions or get enough National Insurance credits to give you a qualifying year, you may find you have a gap on your National Insurance record. This could mean that you won’t have enough years of National Insurance contributions to get the full state pension. You can top up your record by making Voluntary ‘Class 3’ National Insurance Contributions. These payments help to fill any gaps in your National Insurance record. The current Class 3 rate for the 2018-19 tax year is £14.65 per week. Usually, you can only pay gaps in your record from the past six years – but depending on your age, you may be able to fill gaps from even further back. The deadline to pay is April 5th each year. For further details on how and when to pay, check GOV.UK. You can contact the Future Pensions Centre on 0800 731 0175 for more information on the impact of paying shortfalls in your National Insurance record before you commit to making payments. Savings credit: an extra payment from the government to reward you for saving towards your retirement. When you increase your contributions to a workplace pension or private pension, some employers will also boost the amount they contribute. The table below shows the minimum employer contributions, but some employers may offer more generous terms – so it’s worth checking to see if you could get a boost if you increase what you pay in. If you have a regular expense that stops being needed, you can redirect that extra money to your pension instead. As an example, once you finish paying off a car loan, you can use those payments towards your pension fund. This is a quick and simple way to give your retirement savings a boost while sticking to your everyday budget. And, if your income rises – for example, due to a pay rise or a new income stream – put all or part of the sum towards increasing your retirement savings. This can be done in a number of ways, including by increasing the sum you contribute to a workplace or personal pension. As well as making regular contributions, it’s possible to add lump sums to your pension as well. Find out how much you could get with our pension tax relief calculator. Even if you don’t pay income tax, you may still be entitled to tax relief on your pension savings. If you have a personal pension, self-invested personal pension (SIPPS) or a stakeholder pension, and no income, you can make contributions of up to £3,600 per year which will attract tax relief of 20%. If you have income less than £11,850, you can contribute up to 100% of your income to earn tax relief. Carry forward is a process that allows you to make use of any unused annual allowance from the past three tax years. The current annual allowance is £40,000, so you might be able to boost your pension by up to £120,000 without incurring tax. Here’s an example of how carry forward could allow for a contribution of £80,000 without exceeding the annual allowance for 2018-19. The average person will be employed by several different companies during their working life, meaning you may have some pension pots you’ve forgotten about. There are currently billions of pounds worth of unclaimed pensions in the UK alone but tracking them down couldn’t be simpler. The government-backed Pension Tracing Service can help you find old pensions you’re entitled to claim all you have to do is complete an application. Monitoring your pension regularly will help you keep your savings on track. You can also check in on the performance of your pension fund. Contact your pension provider to find out the best way to keep track of how your pension is tracking. This should become easier to do with the introduction of the ‘pensions dashboard’ – a tool that should allow you to view all of your pensions data in one online platform. Prime Minister Theresa May recently backed plans for the pension dashboard and the first iteration is set to be rolled out in 2019. Pension contributions are often paid into investment funds. If you don’t choose a fund, your pension provider will choose a default. Usually, your pension statement will give you the details of which funds that your pension is invested in. If your investment fund has been under-performing, don’t be afraid to switch. Choosing the right fund to invest in could give your retirement income a boost. The new pension freedoms allow you to access your pension pots early. Some providers, however, charge a fee each time money is taken out. The price and extent of these fees vary significantly between providers, so it’s worth shopping around to make sure that you get the maximum amount of retirement savings possible. Find out more in our guide to pension drawdown charges compared. An annuity is an insurance product that allows you to swap your pension savings for a guaranteed regular income that will last for the rest of your life. How much you get is determined by the rate the annuity provider offers. If you’re thinking about buying an annuity, be sure to shop around to make sure that you secure the best deal. If you plan on buying an annuity with some or all of your pension, and you have a medical condition such as diabetes, high blood pressure or heart disease, you may be eligible for an enhanced annuity which will pay a higher level of income. Enhanced annuities aren’t always offered by annuity providers, so it’s best to shop around if you think you could be eligible for one. Consulting an independent financial adviser can help you put a pension savings plan in place and identify new ways to maximise your income. Find out more in our guide to getting retirement and pension advice. If you have several pension pots with different providers you may be able to boost your savings by combining them into one pot. This will also help to keep track of your overall retirement sum and whether or not you’re on track towards your targets. Before you switch, you should check that you don’t have any guarantees that you’ll lose by moving your savings to another scheme, and that the charges you pay aren’t higher in the new scheme. Delaying your state pension start date could result in you receiving a higher weekly state pension or even a lump-sum payment. How much you get depends on when you reached state pension age. If you reached state pension age before April 2016, for every five weeks that you defer your state pension, you will get an increase of 1%. This works out to 10.4% for every full year you defer. If you decide to take a lump sum, you have to defer your State Pension for at least a year. This sum is also taxable but only at the top rate, you were paying beforehand. If you reached state pension age after April 2016, for every nine weeks that you defer your state pension, you will get an increase of 1%. This works out to 5.8% for every full year you defer. The 2018/19 new state pension rate is £164.35 (£8,546.20 a year). This means that if you defer for 12 months your state pension entitlement will increase to £173.89 a week (£9,041.88 a year). The extra amount will be taxed in the same way as the rest of your State Pension. The lump sum option is not available to people who reached state pension age after April 2016. Find out more in our guide to deferring your state pension. It is possible to keep working after you hit state pension age. Continuing to work either full-time or part-time will allow you to carry on making contributions to your pension and boost your retirement savings. Find out more in our guide to working in retirement. Everyone is entitled to take 25% of their private or workplace pension tax-free from the age of 55. The longer you wait to take money out of your pension pot, the longer it has to grow and accumulate interest, giving your retirement income an instant boost. 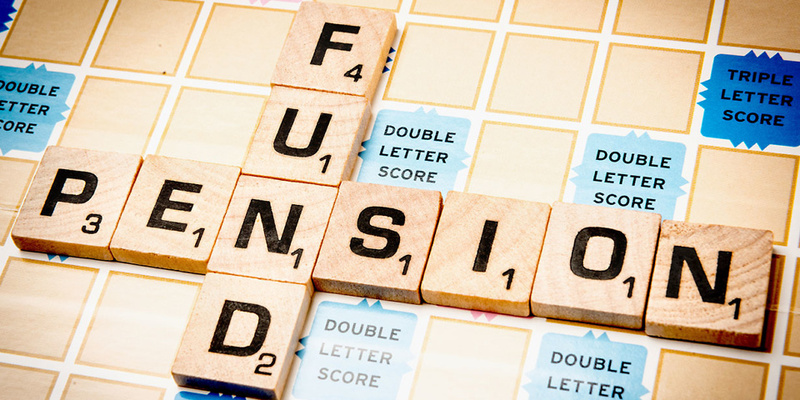 Find out more in our guide to taking a pension lump sum. If someone calls about your pension, hang up immediately and don’t share any personal details with them – it could be a pension scam. An estimated £43m of pension savings have been lost to scammers since 2014. If an offer promises ‘guaranteed’ returns or seems too good to be true, it more than likely is. Double check any pension investment offers on the FCA’s Scamsmart website. This will help to identify whether the person and product are registered or fraudulent. Use resources such as the Government’s free and impartial Pension Wise service for guidance. If you think you’ve been scammed, call Action Fraud on 0300 123 2040.